Citrus Heights RESTAURANT CAFE PERFECT FOR BURGERS or ITALIAN. RESTAURANT CAFE PERFECT FOR BURGERS or ITALIAN. Turn this restaurant into a cafe, seafood restaurant, or hamburger place with just a name change. You are ready to go! Located on one of the highest traffic locations in Sacramento, this won't last long one on the market. 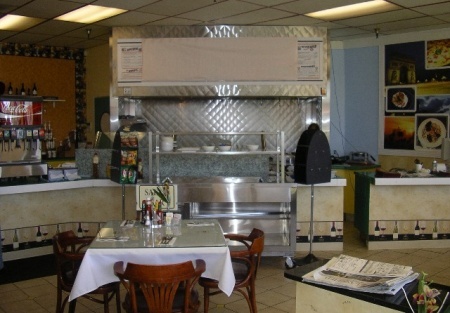 The restaurant and the equipment are both in excellent condition. The owner has spent a great deal of time developing this restaurant, but has developed a serious medical condition forcing him to sell. Great lease with beer and wine license. 1,800 sq. feet with a base rent of only $2,394.